SLO’s clean-sky slogan of the 1990s—“Come up for air”—is facing a reality check, with higher-than-ever pollution levels around the county in recent weeks. PUT THAT IN YOUR TAILPIPE : Emissions from motor vehicles are the biggest contributor to record local levels of ozone smog. If violations of federal and state standards for ozone pollution continue, the result is likely to be strict new requirements for local industry, according to air quality officials. They are asking local residents to consider driving less, to keep the county’s air clean enough to avoid the new rules. 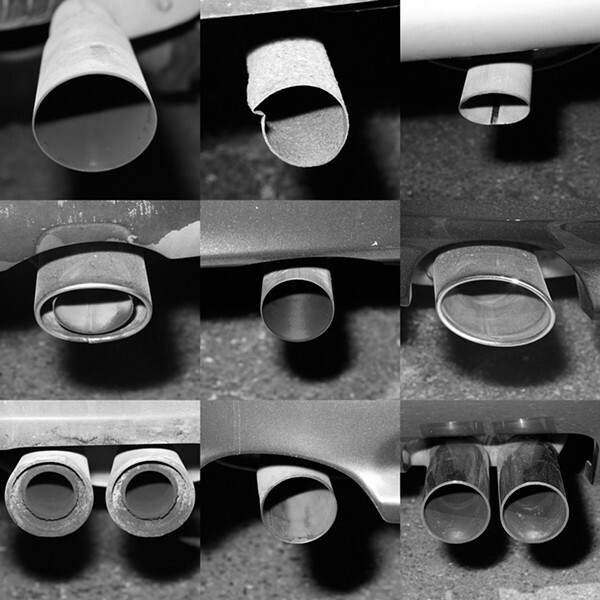 Cars and trucks produce 90 percent of the emissions that create ozone smog. If SLO County is declared a “non-attainment” area for federal ozone limits, “It would mean a big bureaucratic paper chase, with significant planning requirements,” explained SLO County’s Air Pollution Control Officer Larry Allen. Local pollution-emitting industry would bear the brunt of any new requirements. Ozone is a type of smog formed from reactive organic compounds in the presence of sunlight. It’s considered unhealthy to breathe, especially for children, elderly people, and people with respiratory or heart problems. A new, stricter federal standard for ozone kicked in this year, but a full year of data is needed for comparison with previous years to determine whether SLO County is a “non-attainment” area. Are the recent fires a part of the issue? Undoubtedly, but experts say it’s hard to quantify how much. Higher readings in SLO coincided with exceedingly hot days, as well as area fires. But repeated high readings in Paso Robles and Atascadero are not related to either issue. “We don’t have the full picture now,” Allen said. Recent high ozone readings at monitoring stations in San Luis Obispo, Morro Bay, and Nipomo resulted from record high temperatures and a weather inversion that kept the hot air stagnant. Smoke from wildfires in Monterey and Santa Barbara counties may have contributed to the problem, he said. The smoky air has been a concern for local residents and visitors, with the SLO County Air Pollution Control District fielding a steady stream of calls for information. Air quality officials have the latest information on airborne smoke and ash at their fingertips, thanks to a newly installed state-of-the-art monitoring system on the roof of their SLO office off Broad Street. “It looks like an R2-D2, a little robot. It’s so cute,” said air quality specialist Karen Brooks as she stepped outside her office to check the gleaming metal device. “It’s a giant vacuum, sucking the air past a particulate counter. A filter collects the smoke on a sticky tape and counts the pieces of dirt. It’s instantaneous,” Brooks explained. Inside, her computer screen tells her the air has 22 micrograms of particles per cubic meter. That reading indicates the fires in nearby counties are coming under control. At the height of the smoke, the count was closer to 300, “very unhealthy for any outdoor activity,” she said. Smoke isn’t the only type of air pollution that crosses county boundaries. Ozone smog also travels across the county line, from heavily polluted areas of the San Joaquin Valley into the eastern part of SLO County. High ozone levels detected by air quality monitoring devices in the Carrizo Plain and near Shandon originated in the San Joaquin Valley, local officials believe. They hope to convince state and federal regulators the ozone is coming from out of the county, in an effort to avoid the “bureaucratic paper chase” that would be required if SLO County is designated as a “non-attainment” area. Even if San Joaquin Valley can be blamed for the high ozone readings in the eastern region of SLO County, some local smog is locally produced, according to Allen. The air in Paso Robles and Atascadero has violated state and federal ozone standards on a few occasions. “There’s very little we could do locally that would affect the ozone readings in the eastern part of San Luis Obispo County. But the violations in Paso Robles and Atascadero are more homegrown, and there are definitely things we can do to influence that,” said Allen. He suggested that local residents could do all their errands in one trip, along with using alternative transport or telecommuting one day a week. “That’s a 20 percent reduction in trips. That’s huge. And with gas prices, there’s even more of an incentive than clean air,” Allen noted. Air quality officials hope local residents will eventually replace their gasoline-gobbling high-emission SUVs with cleaner burning, more efficient vehicles. Continuing improvements in regional bus schedules will also help make public transit more convenient for commuters who want to leave their cars at home, Allen said. Schools are another focus for alternative transportation, to reduce the number of car trips by parents. Currently, only about one in ten students travels to and from school by riding the bus, walking, or riding a bike. Locally, there’s a push to develop “Safe Routes to School”—for example, a parent may lead a group of kids in a “walking bus” on the sidewalk, according to air quality officials. Discouraging sprawl-type development in favor of “smart growth” in urban areas is another clean air strategy now under consideration by county officials. The Air Pollution Control District is hoping for voluntary cooperation to help clear the air, especially after a recent public opinion survey showed that most respondents care about local air quality. The district has regulatory authority over smokestacks and other stationary emission sources, not motor vehicles. “If we are designated as ‘federal non-attainment’ for ozone, that will put business at a disadvantage,” noted Allen. Contributor Kathy Johnston may be reached at kjohnston@newtimesslo.com.